Replacement cage for single-caged pedals, manufactured by Asian brand Echo. The main update is the new design of the outer profile, now shaped like an M, which provides more grip and increases impact resistance. Made from high quality 7075-T6 aluminium alloy, which is great to deal with impacts and wear without increasing weight. - Replacement cage for single-caged pedals, manufactured by Asian brand Echo. - The main update is the new design of the outer profile, now shaped like an M, which provides more grip and increases impact resistance. 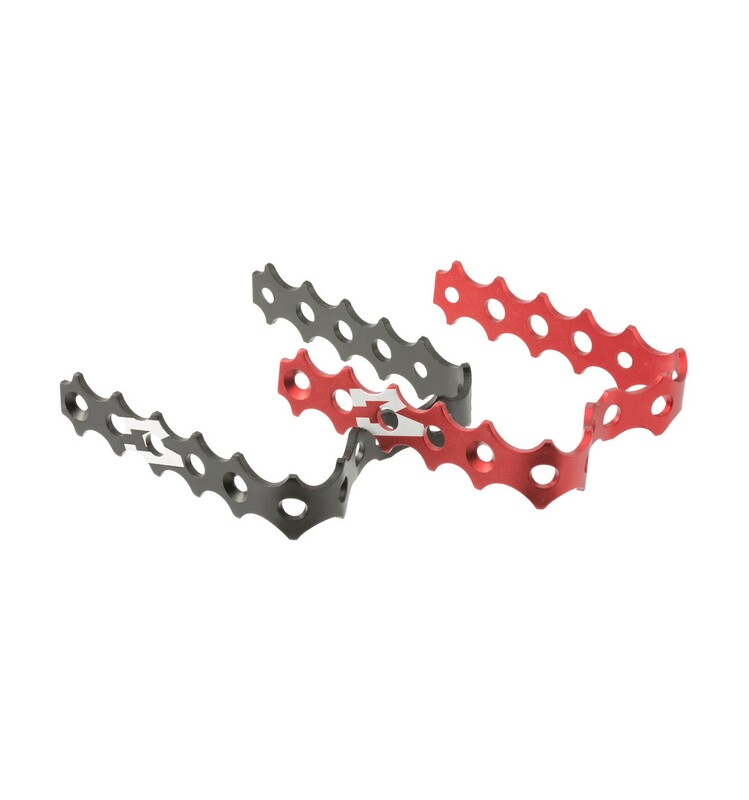 - Made from high quality 7075-T6 aluminium alloy, which is great to deal with impacts and wear without increasing weight. 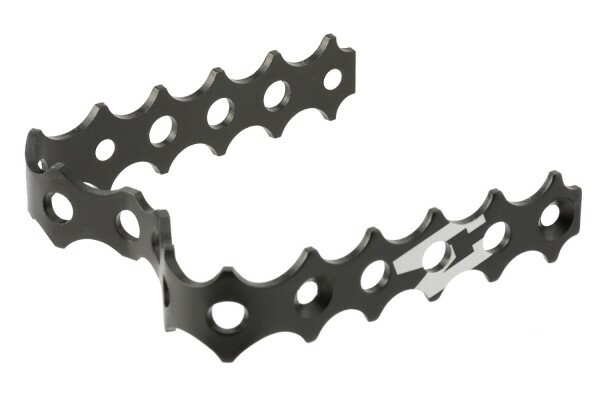 - The teeth on the outer side have a lower profile to reduce the possibility of the pedal getting stuck on obstacles. 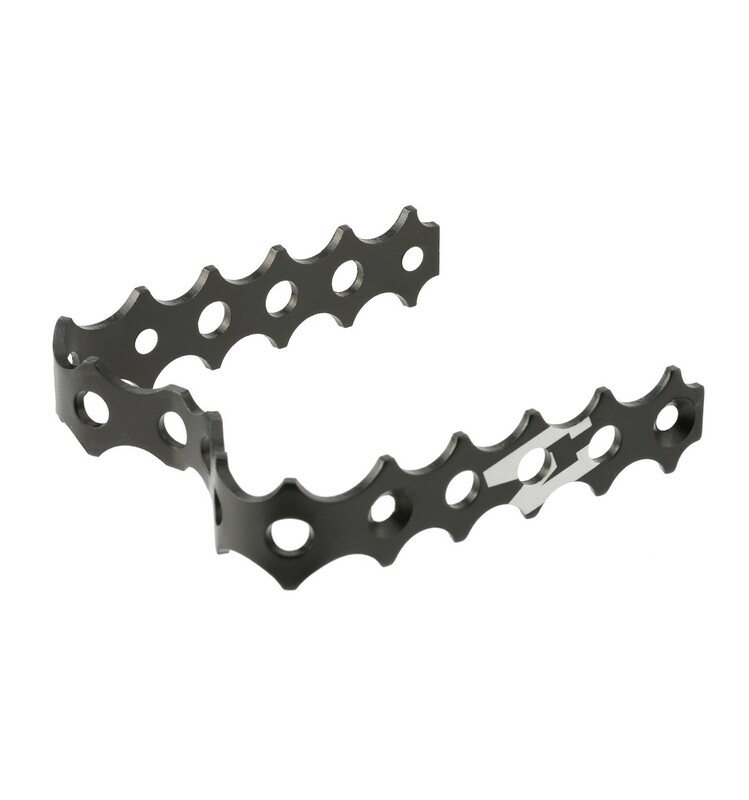 - Each cage features multiple round holes that remove any excess material. 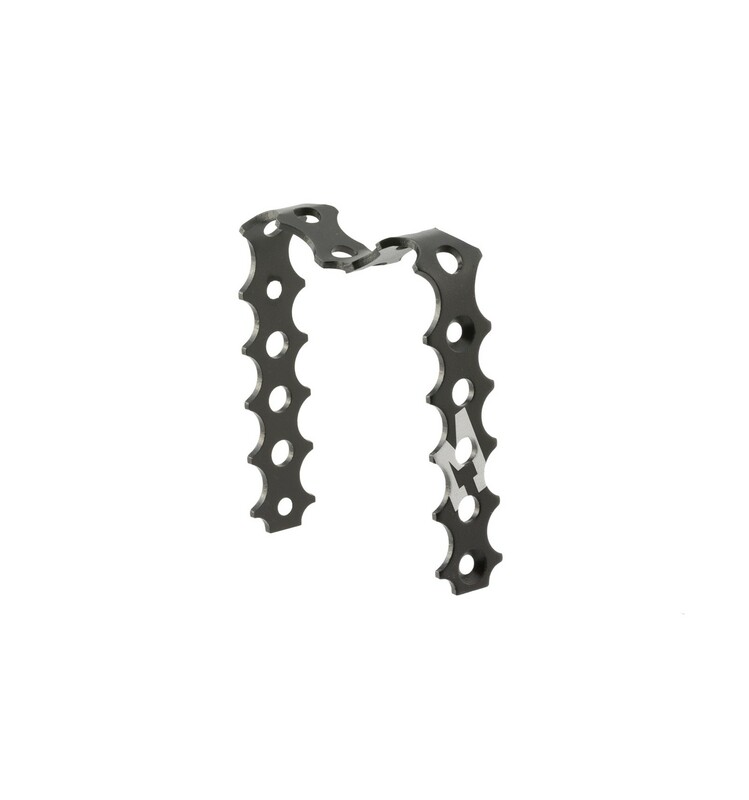 - This item is ideal to replace a damaged or broken cage without needing to replace the whole pedal, saving some money in the process. - Sold individually (1 cage). - Echo TR, Echo SL, Play and those single-caged pedals with identical dimensions. - Not compatible with any single-caged pedals from Jitsie, Hashtagg, Clean, Try-All, Monty or Rockman. - Available in anodized red or black, with white laser etched Echo logo.